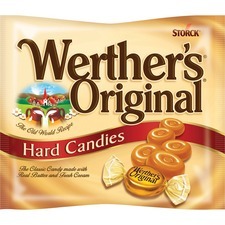 Hard candy, made with real butter and fresh cream. 284 g.
Satisfy your cravings. Ideal for reception areas and filling candy jars. 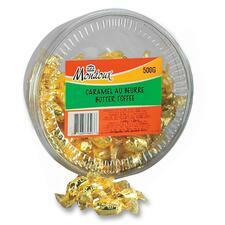 Butter Toffee.500 g.
Satisfy your cravings. Ideal for reception areas and filling candy jars. 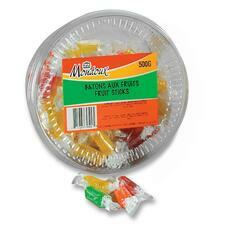 Filled Fruits.500 g.
Satisfy your cravings. Ideal for reception areas and filling candy jars. 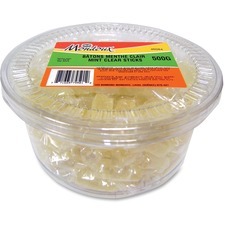 Clear Mints.500 g.
Satisfy your cravings. Ideal for reception areas and filling candy jars. Fruit Sticks.500 g.
Satisfy your cravings. Ideal for reception areas and filling candy jars. Sweet Sixteen Original Gummies.400 g.
Satisfy your cravings. Ideal for reception areas and filling candy jars. 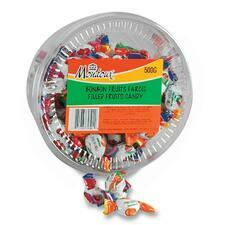 Red Striped Mints.500 g.
Satisfy your cravings. Ideal for reception areas and filling candy jars. 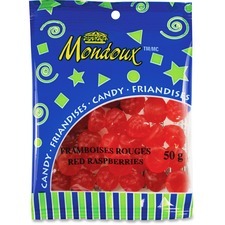 Red Raspberry Gummies.50 g.
Satisfy your cravings. Ideal for reception areas and filling candy jars. 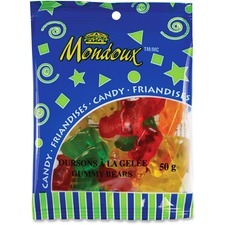 Gummy Bears.50 g.